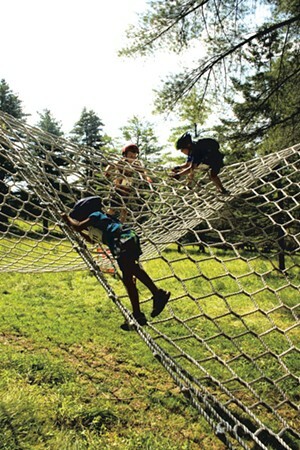 Adventure Racing | Fit Families | Kids VT - small people, big ideas! 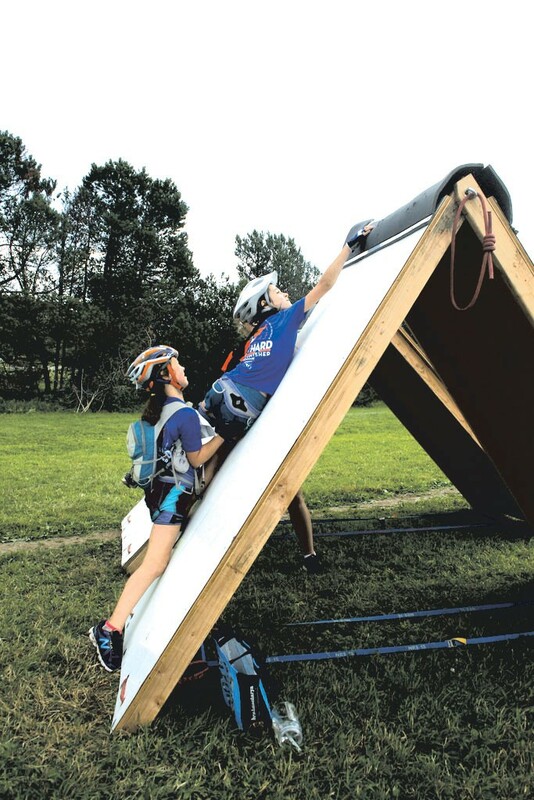 Former adventure racer Billy Mattison and his wife, Helene, used to stage mini-obstacle courses for their kids' birthday parties at their Colorado home. Now the couple runs a nationwide series of Kids Adventure Games, giving athletes ages 6 to 14 the chance to tackle zip lines, rope bridges and mud crawls. The games came to Vermont for the first time this summer. The Trapp Family Lodge in Stowe hosted the event one sunny Saturday morning in July. Ninety participants split into teams of two to tackle a dozen sports and problem-solving challenges, including a gigantic Slip'N Slide and a tightrope stretched over a mud pit. The payoff? Chafing dishes of mac and cheese, coolers of chocolate milk and official certificates at the finish line. After completing the course in about an hour, teammates Nate Rice and Noah Lippiko, both 13-year-olds from Stowe, couldn't seem to wipe the smiles — or the dirt — off their faces. "It was fun!" they said in unison. 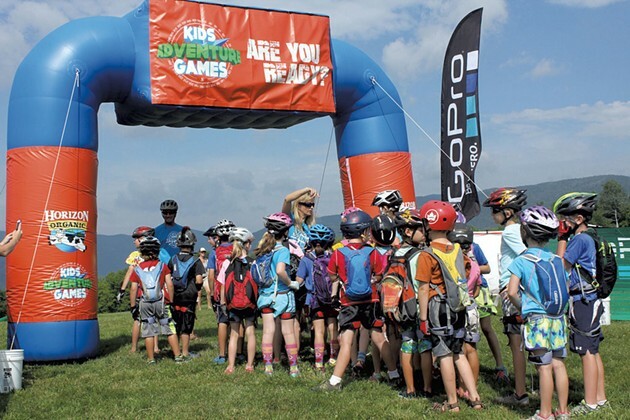 Participants in the Kids Adventure Games should know how to ride a mountain bike. Practice riding on dirt, not pavement. Hike and bike in the clothes you plan to race in. Study maps, such as car routes while driving. Hike through creeks and other rough terrain.